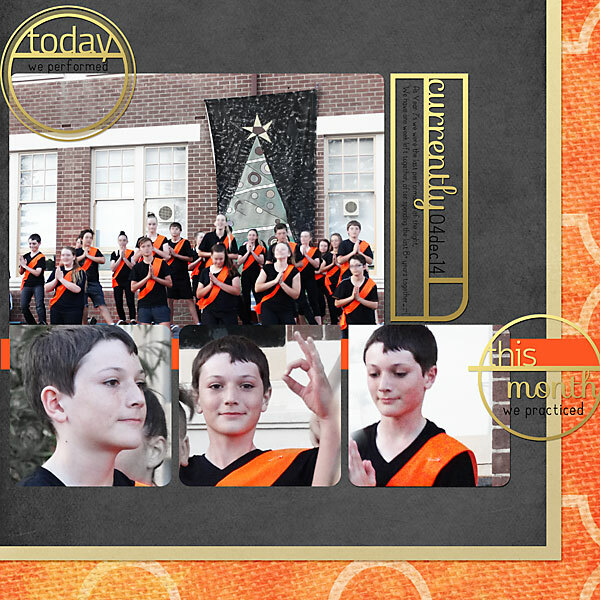 Create fun calendars for layouts, printables and more with these versatile digital scrapbooking embellishments. 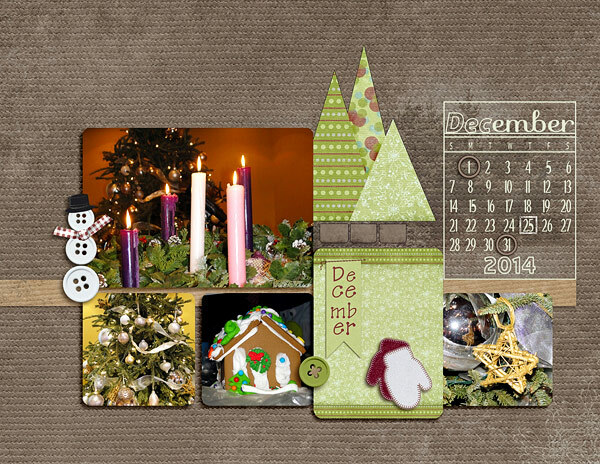 Includes all configurations to make your own mini calendars, perfectly sized to fit Pocket Life cards. 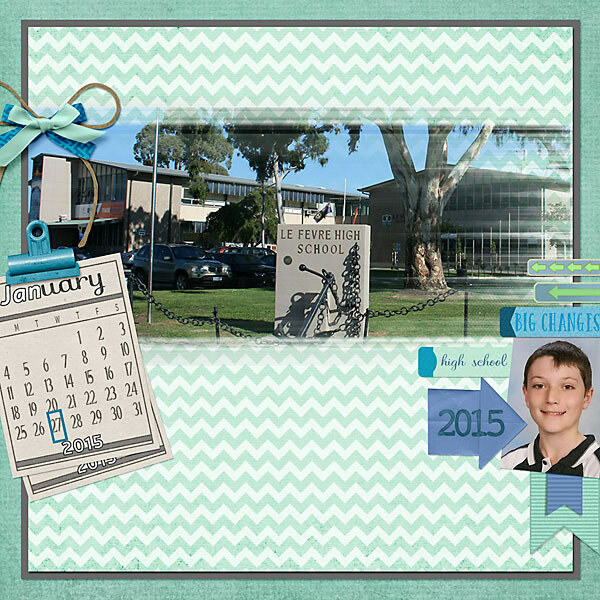 Perpetual calendars can be used year after year. Blend, re-colour, or add layer styles to customize your calendars. Includes 2 base cards, 7 grids, 12 months, 8 years and date markers. Also included is a bonus date marker brush set, to customize your calendars, and mark all those special days. Add the months of the year and a modern flair to your digital scrapbook layouts with this brush set biggie. Create quick monthly review photo books with these grid styled double page layout album templates. Perfect for Project Life and Pocket Life style pages. Customization is the key with these pocket life templates. 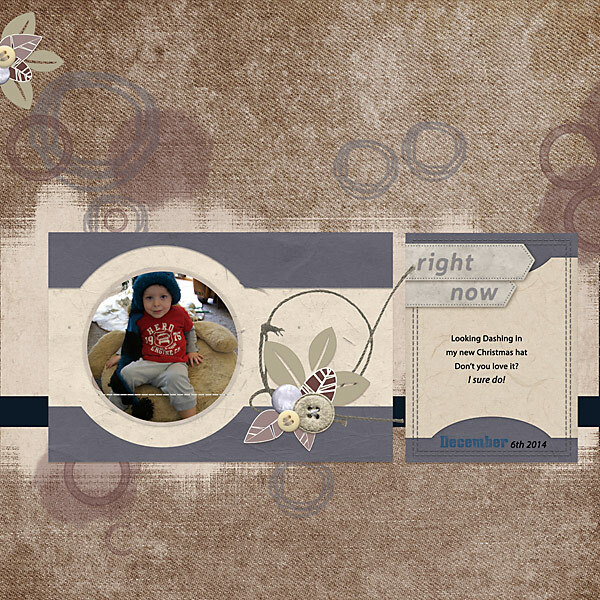 This set of journal card templates allows you to customize your cards to suit any layout. Pocket Life cards make adding journaling, dates, and more to your layouts a snap. Includes 9 cards in 4x6 and 3x4 - perfect sizes for fitting into traditional scrapbooking page protectors. Designed to give your layouts a touch of modern elegance, these double page templates are perfect for creating a beautiful photo book style album. 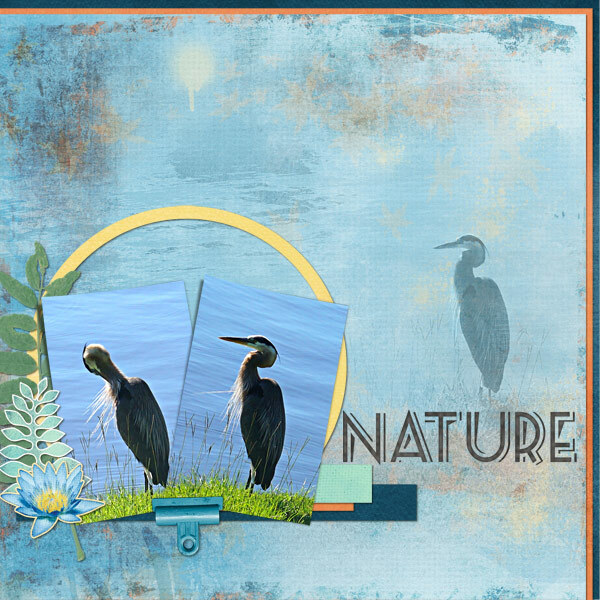 Use the double page spreads or single page layouts to create a modern, yet elegant photo book, or add your own flair to make it a scrapbook style of album. 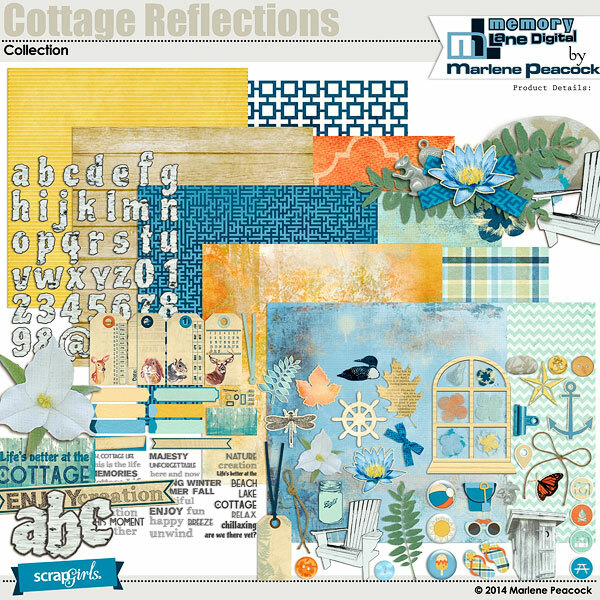 A rustic woodland inspired Value Pack of digital scrapbooking products with a touch of painterly vintage charm in the papers and embellishments. Jam packed with elements, from vintage newsprint, painterly flowers to a birch bark inspired alpha and sketched embellishments. Perfect for vacation memories and for everyday life. 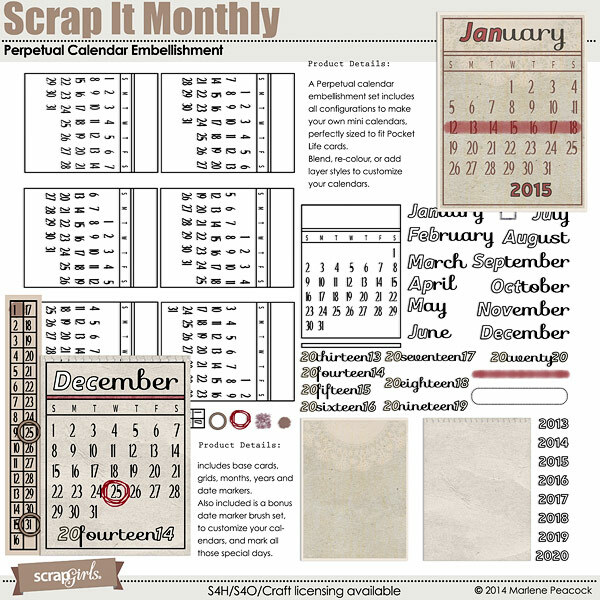 With this add-on to the Scrap It Monthly Perpetual Calendar Embellishment, you can build on your mini calendars with a column of weekly numbers, and create weekly numbered titles, perfect for Project Life, Project 52, or ‘photo a day’ projects. 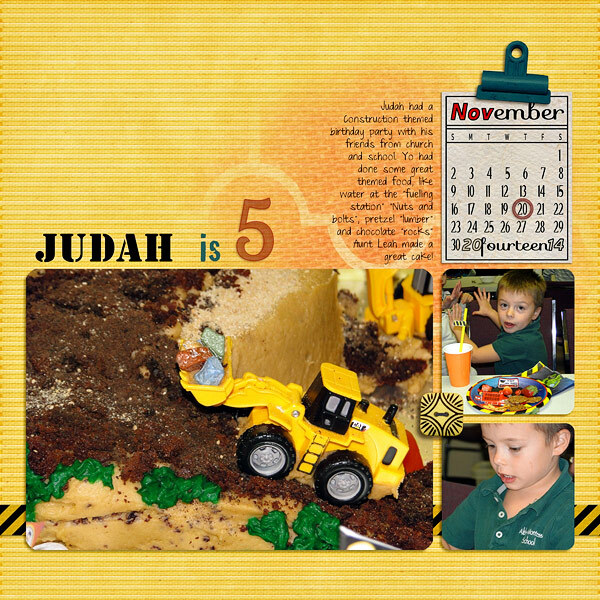 The rounded corner grids coordinate with the Scrap It Monthly templates, and Week 52 templates. Great to use when you want a softer look. The Scrap It Monthly Word Art and Alpha Biggie is perfect for giving your everyday layouts that little extra flair. The modern wire alpha is great for any layout, and the word art has many words and phrases perfect for everyday life.